Biblio understands independent book selling. We know what independent booksellers need. That is because Biblio was founded by independent booksellers. And we never sold out. That means that Biblio is still owned by and run by people who are in it for the love of books, just like you. Because we understand independent bookselling, on Biblio you get commission-free dealer to dealer sales when you offer a minimum 5% trade discount to your fellow booksellers. You can choose between a no monthly fee, commission only plan -or- a low monthly fee, lower commission plan. You decide, and you can change your mind and switch later! You choose your own shipping rates and times, and you never pay commission on shipping costs! An inventory ready to list for sale of around 200 books or more. A reliable interenet connection and an email account. (we keep a credit card on file for security reasons, regardless of which billing plan you pick). Your knowledege and experience and love for selling books. * The lowest fees in the business! 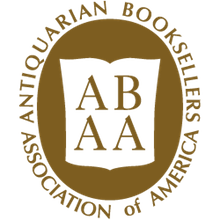 A site and staff that shares your committment to professional independent bookselling. Access to Biblio's book buyers and collectors through exposure on the site and in targeted emails to Biblio's huge mailing list. Commission free dealer to dealer sales. Biblio gift certicates for referring customers to other bookseller's books on Biblio! Get started now selling books on Biblio! It only takes a few minutes to get started. It typically takes around 15-20 minutes. You will need around 200 books ready to sell. A valid major credit card for security purposes. Upload or add at least 5 of your books after completing the application. New account applications are typically reviewed within a day or two after that. ** Some sites charge a variable closing fee which is a charge in addition to commission for each item you sell. *** Shipping reimbursements based on a typical U.S. to U.S. shipment via economy mail.